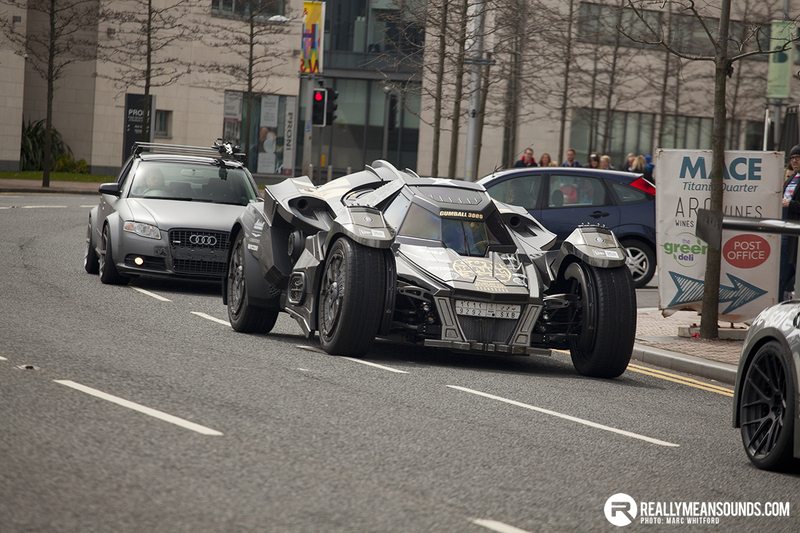 The internationally infamous Gumball 3000 rally passed through Belfast today where thousands of spectators turned out to see the supercars and their superstar drivers at the Titanic Quarter. For those not familiar with the Gumball 3000 events, its a road trip for the wealthy with a £40k entry fee, covering several countries and generally features an array of supercars and celebrity drivers. 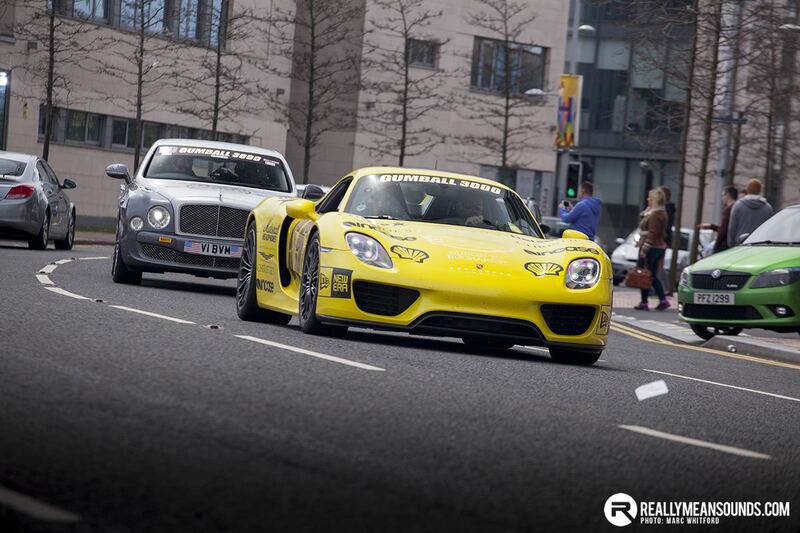 However this is the first time the event has past through Belfast, and judging by the lack of crowd control today I don’t think the organisers had expected such an influx of the public hoping to set eyes on a Porsche 918 Spyder, or David Hasselhoff. Or is that just Hoff now. Anyway, unlike last year’s event that started in Stockholm and ended in LA, 2016 sees the Gumballers leave Dublin and end in Bucharest, calling by Belfast on the way to their stop in Edinburgh. For a rally series known for its excess and expense – for example hiring two Antonov jumbos to fly their cars about last year, that they would be crossing the Irish Sea in our much more ordinary vehicle ferries. No doubt a few eyebrows would be raised by the caravan club in the plus lounge! Back at Titanic Quarter, and pretty much from their arrival to their eventual departure there was complete gridlock. There was as stunning BAC Mono, the aforementioned 918 Spyder, Mercedes SLR, and a range from the stables of Ferrari and Lamborghini, a Camaro and a Challenger SRT, most in Gumball livery. The combined value of the these cars passing through the Titanic Quarter was easily in excess of £20m, some so rare that I may never see another! Crikey, didn't expect it to be that busy! Lyons family outing heading up now. Keep an eye out for a racey Golf passing shortly :P.
Warrens car sounds mental lol, just missed you bud. Some amount of people down there. Where's the best place to park do those that are there think ?